I worked as an Immigration Court interpreter for 10 years. As such, I am very well acquainted with the translation of all documents required for immigration proceedings such as political asylums, removal proceedings, adjustments of status, etc. Many times people forget that they must present a document in English or in Spanish and it is already almost time to submit it. At that moment they realize that they have only a very short time to get it done. Rush jobs are our specialty. Usually, when we get a rush job, we do not stop until it is delivered. We also transcribe videos and audio recordings resulting from investigations depositions, and secret surveillance. This service is usually required for court proceedings. As such, these translations must be certified, a service we provide at no additional charge. Over the last 40 years, we have done translations on just about every subject known to mankind. We are always looking for an English to Spanish translator and a Spanish to English translator. Please submit résumé along with your specialty, if any. Can be located anywhere in the world. 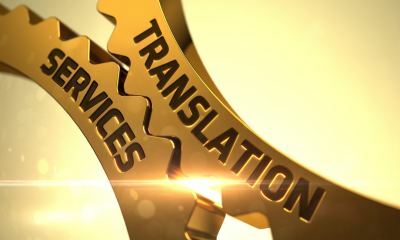 Since 1990, our Manuel Duran translation team has always strived to be on top with our conscious effort to always produce the quality translation and transcription services. You, our client, will always be a priority as well as the integrity of the meaning of the documents that you will have us translate. You can hire our document translation services to work on contracts, employee manual, a short memo, legal document, thesis, technical documentation, advertisement, marketing material, medical report, instruction manual, and other kinds of documents. That is how extensive our services are, thanks to our founder's 46 years of experience working in the fields of medicine, law, art, music, religion, advertising, marketing research, waste management, science, computer science, culinary arts, mathematics, literature, textiles, linguistics, and just about any field of work in the world. This only shows how open we are to embrace any translation business our clients give us. We have worked with doctors, lawyers, insurance agencies, and translation agencies, but we also accept work from individual clients. We are particularly confident that our certified translator can do excellent work in translating court documents. It also helps that we are certified by the federal court and the state of California, so whatever document we touch would hold in court. These certifications also mean that our translated documents can be certified not only for court use but also for governmental and administrative purposes. At Manuel Duran, you can also give us audio or video recordings that we will readily transcribe for you. If you need them translated, you can get both services from us, too. Need a Spanish cooking show transcribed and translated into English, an English medical exam result translated into Spanish? Trust that our certified translator can finish the job for you. Pick up the phone and call Manuel Duran now!